Manchester City striker Carlos Tevez has been found guilty of committing misconduct and will not contest against it. Tevez is guilty for committing five breaches of contract during Champions League game against Bayern Munich this September. He was asked by Roberto Mancini to come as a substitute with 35 minutes left during a game, but refused to warm up. "He refused to come on the pitch. If I have my way, he will be out. He's finished with me." 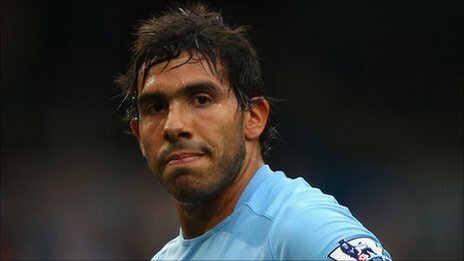 Tevez on the other hand said that the dispute was a "misunderstanding" and "confusion on the bench". He was fined four weeks wages, but was later reduced to two weeks following intervention by the Professional Footballers' Association. Tevez has not played for the club since game against Birmingham in September.